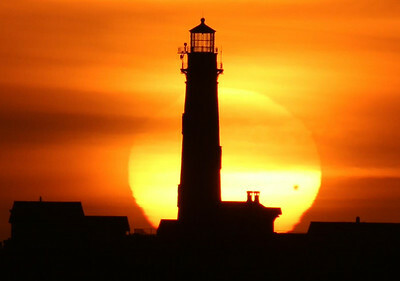 If you missed the June 5th/6th 2012 transit of Venus and want to see another such transit you better hope to live old as the next one will occur on December 2117. 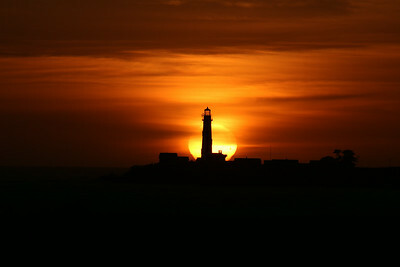 Otherwise, you can also enjoying the pictures available. 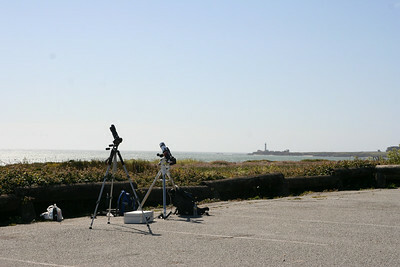 I traveled to the Pacific coast to see as much as possible of the transit (from Bloomington, only ~1 hour of transit was visible before sunset) and maximize the probability of clear skies. 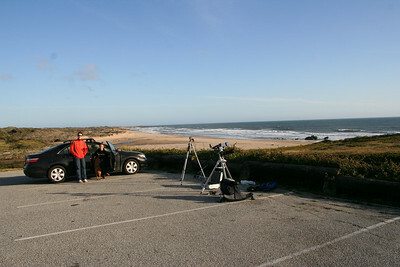 My observation spot was a small parking off highway one, half way between Santa Cruz and San Francisco. The lighthouse that you can see in some of pictures is the Pigeon Point Lighthouse, the tallest lighthouse on the West coast of the US. 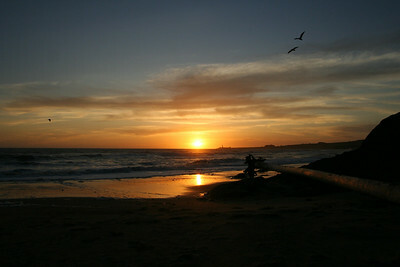 Special thanks to my friends Bob and Jaime for hosting me in Santa Cruz and driving me to the observation spot. 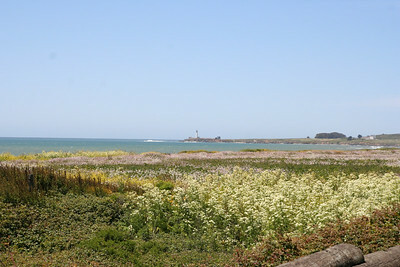 Pigeon point lighthouse seen from the observation spot. The gear, set up on the parking. Bob and Jaime joined me for the end of the transit. 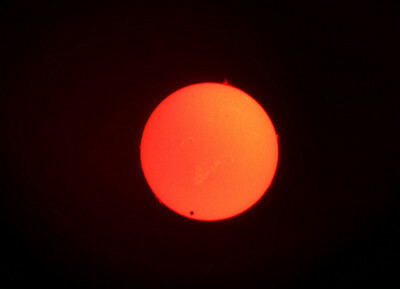 The black circle you see on the Sun is the planet Venus. You can also see some protuberances on the edge of the Sun. 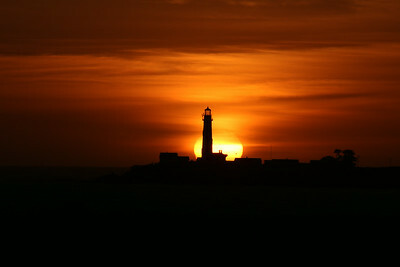 Sunset lined up with the lighthouse. 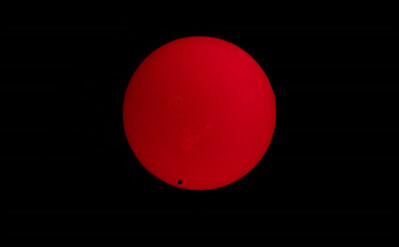 The black spot on the Sun is the planet Venus! 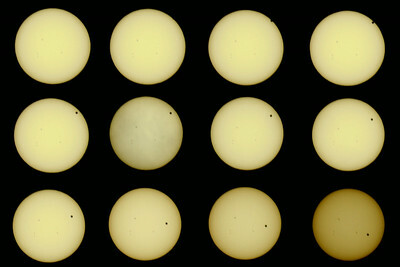 The different pahses of the transit.